la elección de los fans: He loves Israel so much. Hi, Can anyone provide me with the contraseña for fanclub presale for the November 16th concierto in Sydney? Need the promo code for fan presale tickets for the Oakland Paramount mostrar 3/2/2013. Thanks! I had never heard of Leonard Cohen until his 'Live in London' video was shown on Georgia ublic Broadcasting a few weeks ago. I went online to amazonas, amazon and bought 2 copies of the CD. I have listened to them every día since I received them. I will say this,,,, Leonard Cohen is so much más than an artist. He is an EXPERIENCE! We amor him! And his musicians and back up singers are incredible. Anyone who does not have this CD should make sure they get one. They will not regret it! Awesome listening! We amor you, Leonard! Leonard Cohen bio with enlaces to amazing videos. 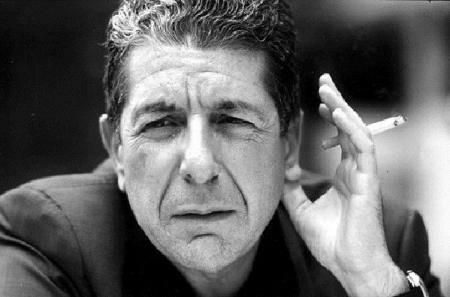 a pop quiz question se añadió: When is Leonard's birthday? a pop quiz question se añadió: What año was Leonard born?